If you’re looking for 10 things to do in San Diego, I hope taking Temecula Valley wine tours is one of them! I had the opportunity to attend a press tour of Temecula, CA wineries and Old Town Temecula. Our first stop was at the Lorimar Winery & Vineyard. I enjoyed their lighter white and sparkling rose style wines that go well with the usually warm San Diego climate. Before visiting San Diego, check the Lorimar website to plan your trip around their special events. You may want to go for a wine tasting, stay for a jazz music performance, and then spend the night in a nearby Temecula wineries hotel. 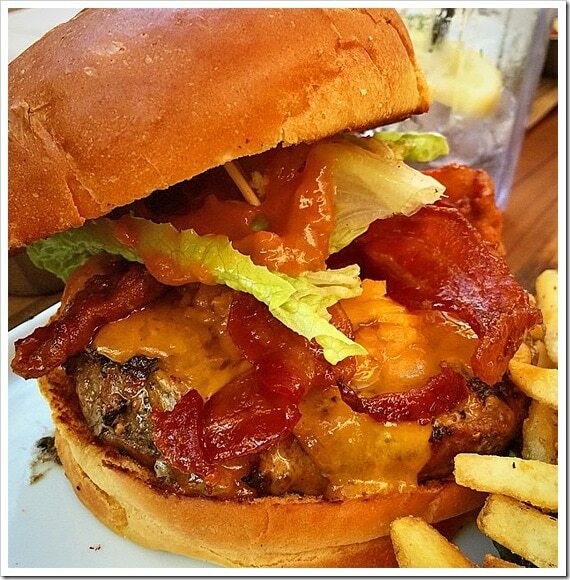 The following day, you can do a little shopping and dining in Old Town Temecula! 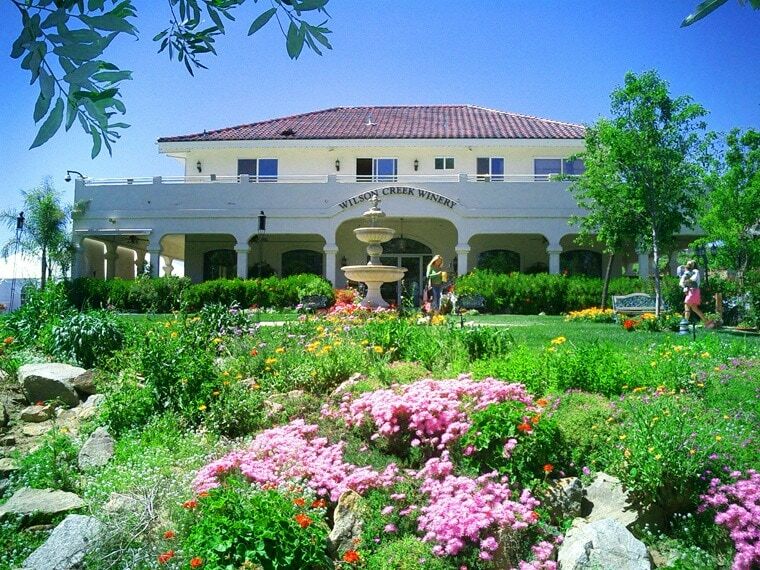 Or you can sample the Temecula wines of the Wilson Creek Winery & Vineyards. 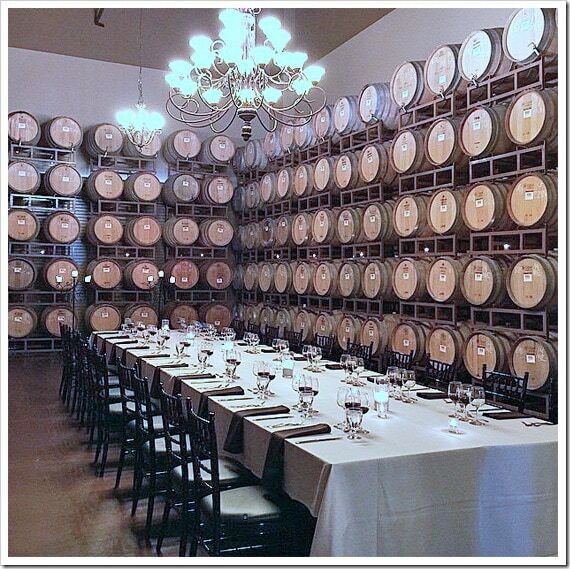 My tour group had an amazing dinner in the cask room where we learned the difference between American and French oak for aging wines. I adored all the Temecula wines I tried at Wilson Creek and their Almond Sparkling Wine is my new favorite. Picture courtesy of Visit Temecula Valley. Used with permission. Visit the Temecula Valley website for list of wineries in Temecula. Can’t make it to the wineries in Temecula? Try the California Wine Club - Start your California wine adventure and save 50% off your first 3 months! Now that I’ve sold you on Temecula Valley wine tours, let me tell you about Temecula Valley. It’s certainly one of the places to visit in San Diego since it’s only 45 minutes north of the city. 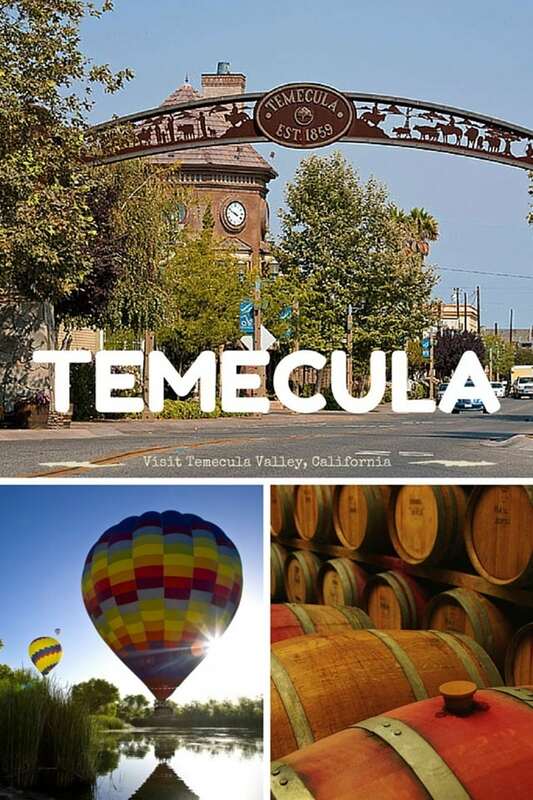 Visiting the Temecula Valley website can help you find lodging as well as point you to shopping, dining, and other fun things to do when you’re in town. 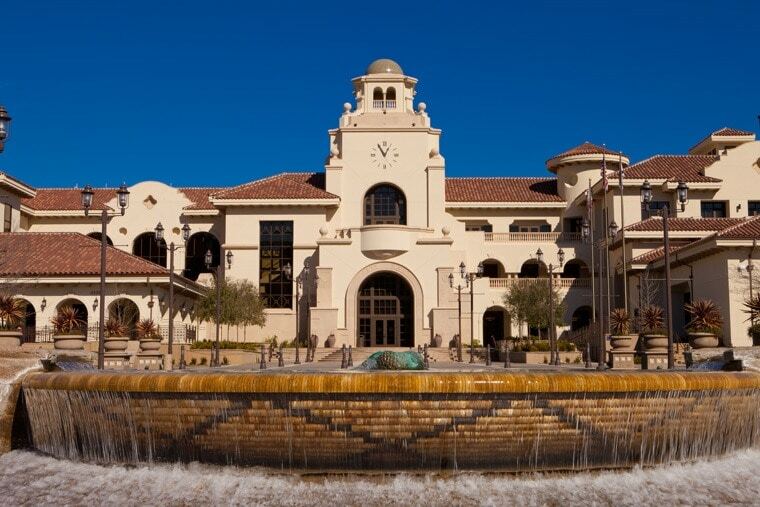 As you walk into the heart of Old Town Temecula, stop by the fountain in front of Temecula’s City Hall. Notice how it looks like a woven Native American basket? So beautiful! 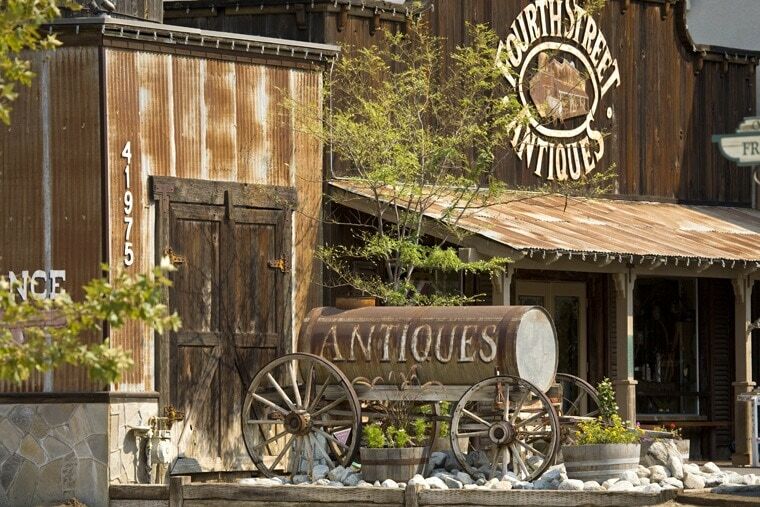 Let’s go shopping in Old Town Temecula! I loved shopping in Old Town Temecula. Now you may think it has the same type of shops you may see in other tourist destinations. Not so because these stores feature products that are locally sourced! 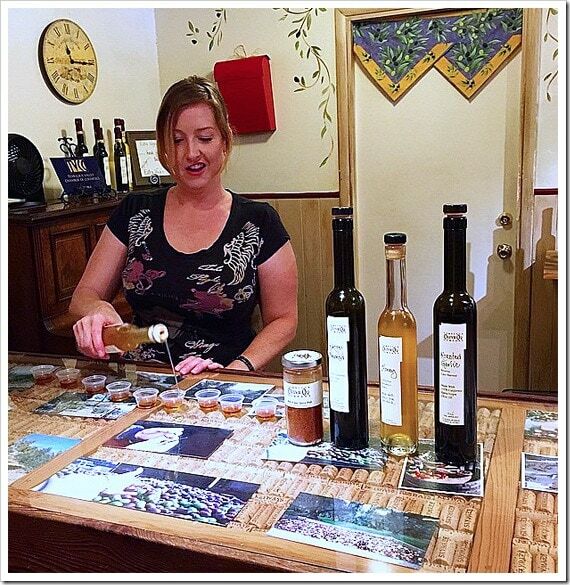 For example, the Temecula Olive Oil Company features olive oils from local groves. Stop by for a complimentary olive oil tasting. The olive oil they feature is sustainably grown, 100% California, 100% extra virgin and comes in a variety of signature, varietals, flavors, and blends. I loved how they paired the various olive oils with balsamic vinegars like Vanilla & Fig, Honey Balsamic, and Bianco Pomegranate. While I was shopping in Old Town Temecula, I was tempted to buy some olive oils to take home. Since I had flown in, I was nervous about taking bottles home in my luggage and having them break or leak. No problem as they have a Simply Olive Oil Club where they’ll ship olive oil to you on a regular basis! I’m tempted to join. 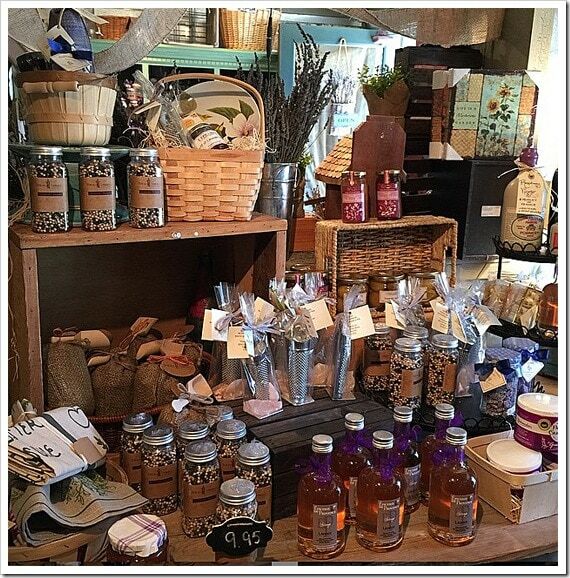 Also located in the heart of Old Town Temecula is the Temecula Lavender Company. They feature locally grown and produced lavender products. I had no idea anyone was growing lavender in San Diego! This charming and lovely smelling boutique features pure, natural, and healthful lavender products for the bath, body, and home. It’s hard to decide what to take home so come with your holiday gift lists in mind! Don’t forget that you can also cook with their wonderful lavender pepper, too. They also have an online store. 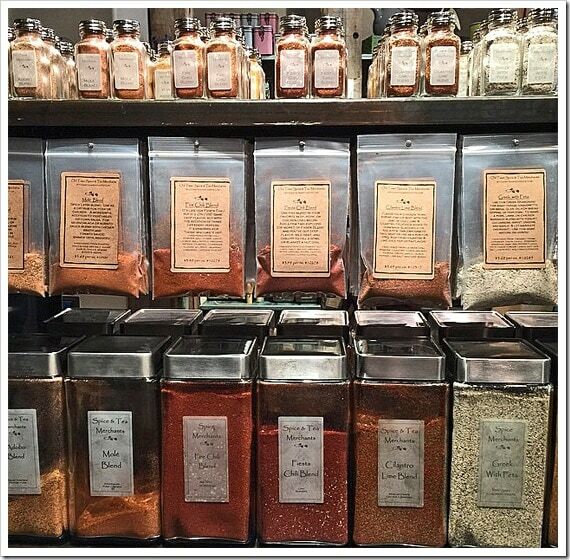 Speaking of cooking, don’t forget to visit Old Town Spice Merchants. If you’re a foodie like me, you’ll be in culinary heaven wanting to take home packets of all the locally created spice blends and barbecue rubs. They also make their own signature-teas like Old Town Thin Mint, Spiced Mint, and Spearmint Sunset. Visit their online store. While touring Old Town Temecula, I had the pleasure of meeting the owner of the Old Town Rootbeer Company and trying her homemade root beer. It’s made with honey and cane sugar and the label features pictures of her grandkids! 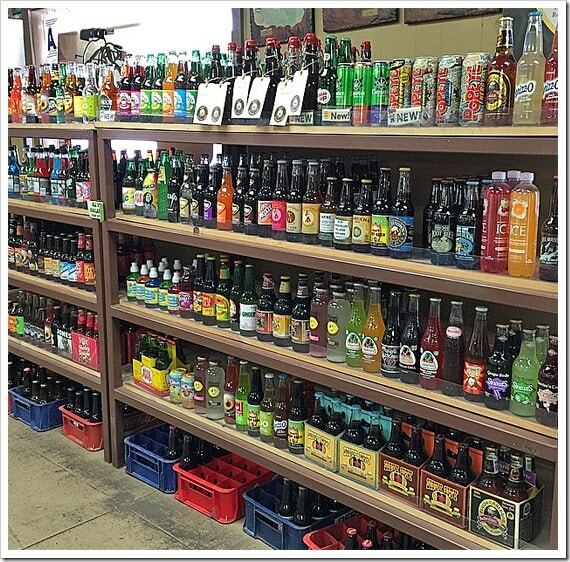 The store stocks over 300 varieties of every soda you could ever imagine. Such a fun store! I also had time to visit the Old Town Sweet Shop and try out their fudge. Oh my goodness was it fabulous! They had awesome flavors including red velvet and jalapeno chocolate. The store also features all your favorite candies from “back in the day” and fresh caramel apples. Check out their online store as well. I also had time to visit several antique stores in Old Town such as Fourth Street Antiques and saw that there were some antique malls just outside of Old Town, as well, so I can’t wait to visit again and do some more antiquing! I spent two days in the Old Town area so I was lucky to have the chance to dine at Crush & Brew as part of my tour and at the PUBlic House the day after during the conference I attended. Both were terrific. I didn’t imbibe at Crush & Brew. It was lunch and I had a full day ahead of me. But next time I’m there, I’d be tempted to try their handcrafted cocktails just as much as their beers. Any place that knows how to make a Sazerac with Peychaud’s, Rye and Orange is A-OK with me! My tour group shared a round of several types of Crush & Brew’s signature fries (Bacon Parmesan and Dill and Cheese) and they were amazing. 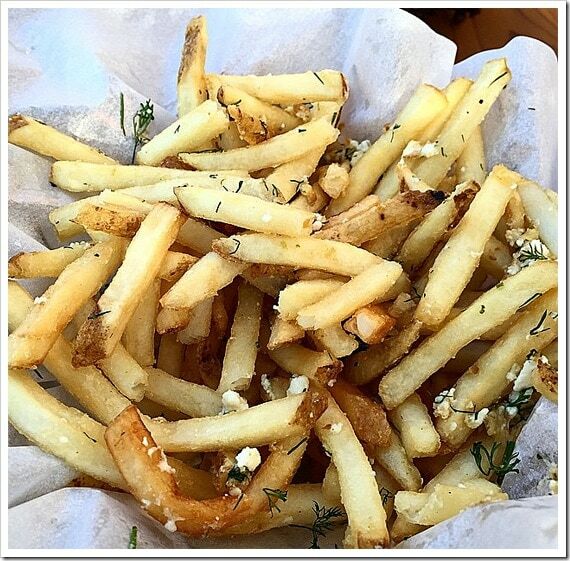 Really, I could go to Crush & Brew for fries and a drink. That’s it. 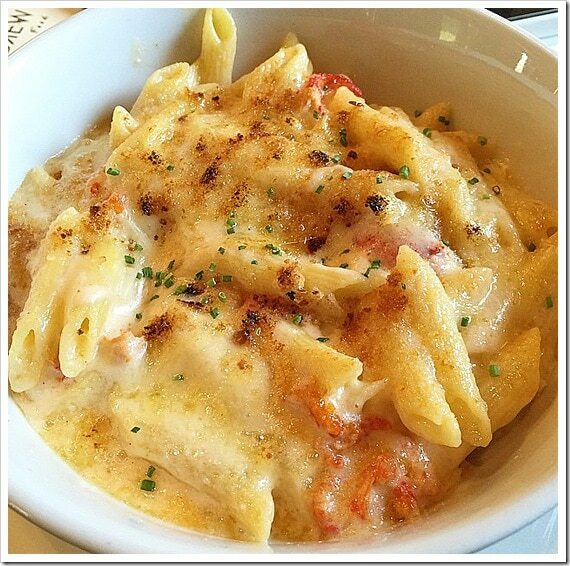 We also shared the Lobster Mac and Cheese. OK, next time I come, I’ll get the fries, a cocktail, and the Lobster Mac and Cheese. And I won’t eat for a week afterward. It was terrific. Then I made the mistake of ordering a flatbread dish for lunch. It was delicious, but the entrée was enough food for a family of four! So I recommend that you and a few friends order a couple of small plates or maybe an entrée and share. I’m so glad I had this opportunity to visit Old Town Temecula and Temecula CA wineries, and discover places to go in San Diego I didn’t know about. Can’t wait to go back! Top pictures courtesy of Visit Temecula Valley. Used with permission.